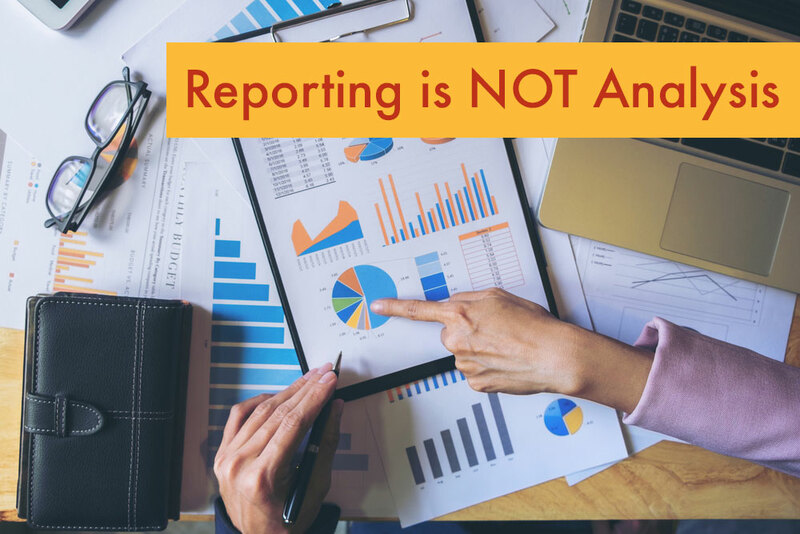 In this post, I want to examine the differences between reporting and analysis. Why? Because they're fundamentally different. Yet, I never hear, "we're doing all the analysis we need." No, instead I'm hearing, "we have all the reporting we need." And I'm quite certain they do - what with all the systems used to run a restaurant. It's likely that they and you have hundreds of standardized reports available and many are likely helpful at telling you what happened; e.g., how many of this or that item did we sell, what's our percentage of labor, what's our gross / net sales in this or that store, market, overall, what's our cash over short, etc. See, all helpful until you want to understand why the cash is shorter than you'd like, why that item didn't sell as you expected, labor in a market is higher or why that promo did so well but we wound up making less money. To get an answer to the 'WHY' something happened requires you to perform some analysis and that requires a solution that can help you knit together the pieces needed to get at the underlying answer. So let’s start with a high-level definition of Reporting and Analysis. What's The Ideal Restaurant Discount? Discounting in restaurants is on the rise, as measured by Mirus Index, and is about 30% higher than a year ago. Examining this trend, it looks like discounting started climbing in 2015 but was up and down until mid-2016. Since then the trend has been a steady increase in discounting, except for the traditional holiday spike in November and December. The strategy of discounting is often debated among industry experts with some saying it is always a bad idea while others taking a more nuanced position that says discounting can be useful to achieve goals in specific situations. We had noticed that Average Check has been increasing as well as Discounts. If you overlay the trend for Average Check against the Discount trend, you see that while discounts have gone up about 50% since the start of 2017, so has the Average Check, about 25%. Could the increase in discounts be related to the strategy of increasing prices? The start of a new year means many people are focusing on getting in better shape. You may even be offering some healthier choices on your menu to meet the consumer mindset. Why do so many people vow to eat better in the new year? No doubt losing weight gives you more energy and confidence. 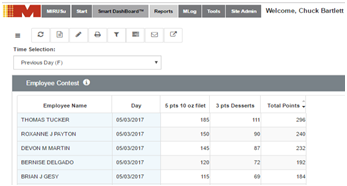 As a restaurant executive getting your restaurant data into better shape can have the same effects on your business. Learn why you should resolve to whip your data into shape and how to successfully do it. 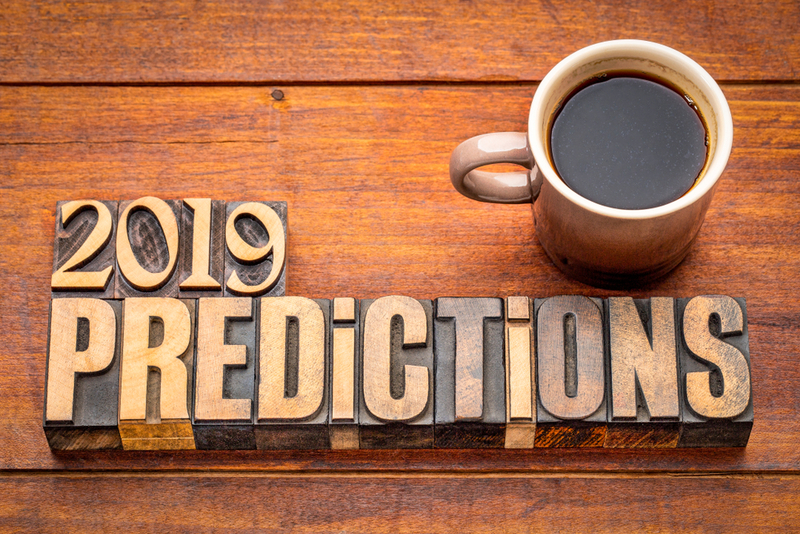 What do you think will be the most popular restaurant business trends for 2019? I recently had the privilege to sit down with FSR Magazine to briefly discuss this topic. McGillin's OldeLouis' Lunch (1895) New Haven, Conn.
Griswold Inn (1776) Essex, Conn.
White Horse Tavern (1673) Newport, R.I.
To me, it is fascinating that these establishments are still going! Most likely, today's restaurants evolved out of the Tavern where travelers could get a bed and a meal on their journey. I am sure that in the 18th and early 19th centuries most people would not think of paying someone to cook a meal for them. It required discretionary income and the 'middle class' would not evolve until later during the industrial revolution. Restaurant Employee Contests: Fun, Profitable, or Both? Whether you are a franchisor or franchisee you want each of your restaurant locations and its employees to make more money. Challenges being placed on already thin margins make it difficult to keep up with the increased demands from labor, food costs, rent etc. And in today’s competitive labor market the cost of locating and training new staff members just adds to the challenge. If you’re a table service oriented restaurant and you’ve gone to tip pooling or even ventured into the no-tip territory you may have already seen a difference in employee motivation or lack thereof due to these policies where the excellent servers are now making less in tips while the mediocre server is pretty happy. So now you need to find other ways to put the spark back in your team. As we head towards the end of the second quarter, it appears that restaurant sales are moving in a positive direction. 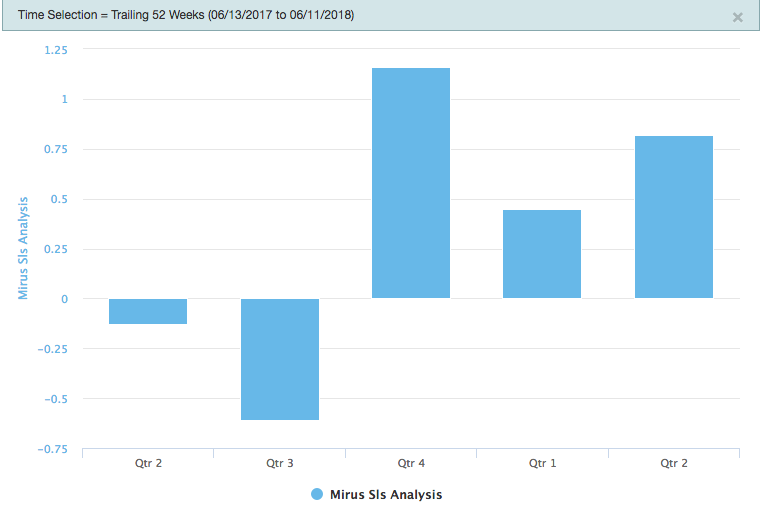 Unless something dramatic occurs in the next two weeks, June will finish the first half of the year with 5 months of positive sales growth - only February has been negative this year. The current year to date Same Store Sales, as measured by the Mirus Index, is up 0.62%. Not huge, but at least positive, and the trend is improving. Same Store Sales for Q2 is up 0.82% so far and is up 1.8% for the first twelve days in June. 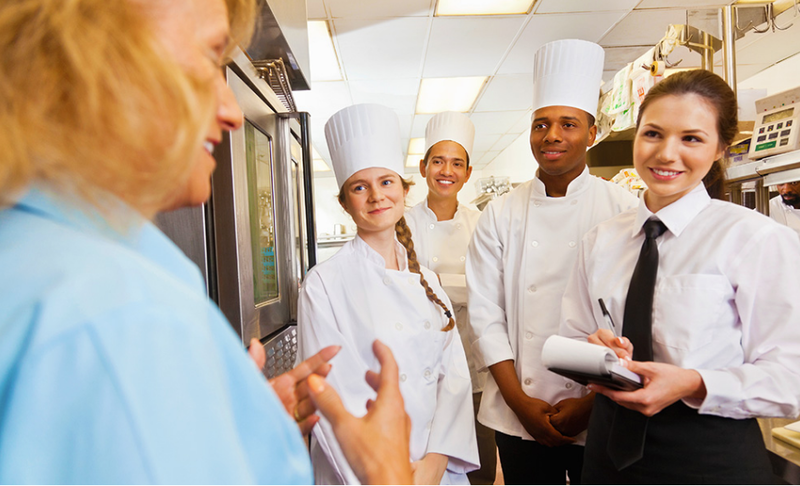 No matter how many restaurant locations you operate, it’s likely that you have a set of ‘best practice’ directives used to keep your locations running smoothly. The question is - How well do your managers know what you expect of them? To put this into perspective, your restaurant managers are responsible for guest satisfaction, food orders, hiring, training, coaching and more. It’s important that your managers understand what you expect of them. You also need to keep in mind how important it is that you inspect what you expect of them. This action will help ensure that they’re planning and operating in line with those expectations. 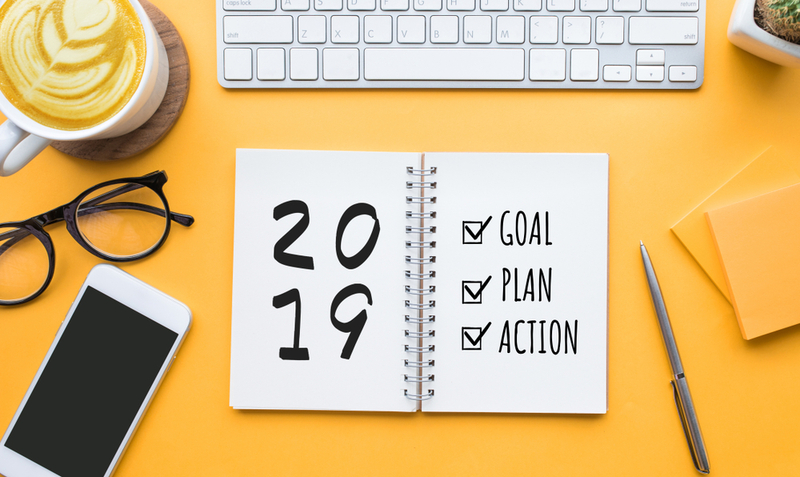 While you likely hired these managers because they have an inherent ability to connect with those around them, your restaurant managers will greatly benefit if they have easy access to reports that key on the metrics tied to your expectations. Menu changes occur all the time in the restaurant business. You might add an item or two, change the price of existing items, run a promotion, or limited time offer. All of these actions generate, hopefully, the consequences you intended. But, most of the time those actions cause other changes you did not expect. These are the unintended consequences. 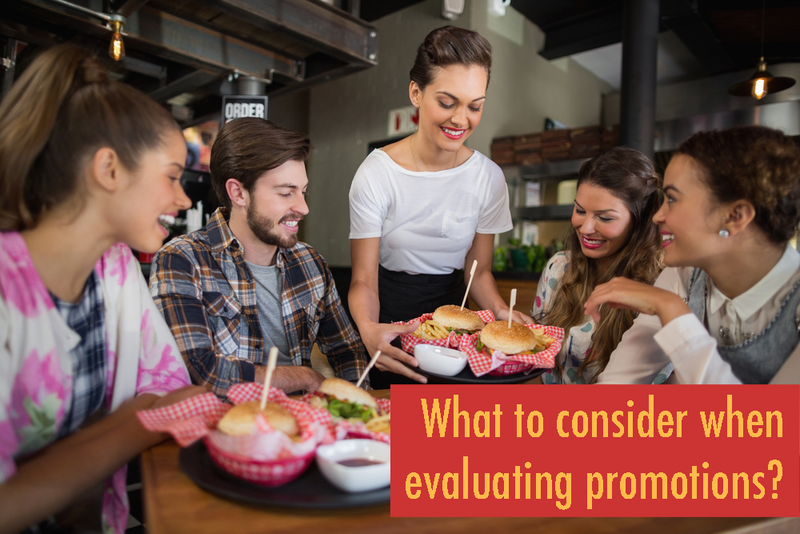 In this post, we give you three important things to consider when evaluating the effectiveness of a promotion. 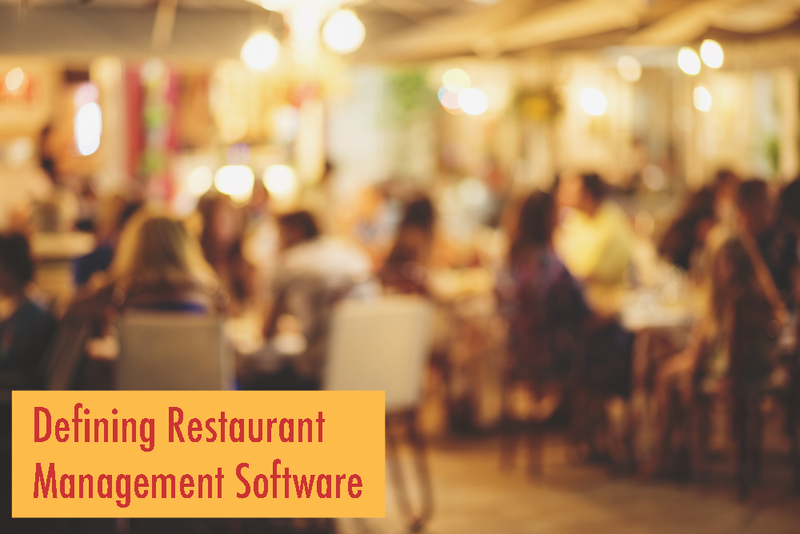 The Blurred Lines of "Restaurant Management Software"
Like many terms in the restaurant industry, "Restaurant Management Software" is widely used, creating a complex understanding of what it actually means. 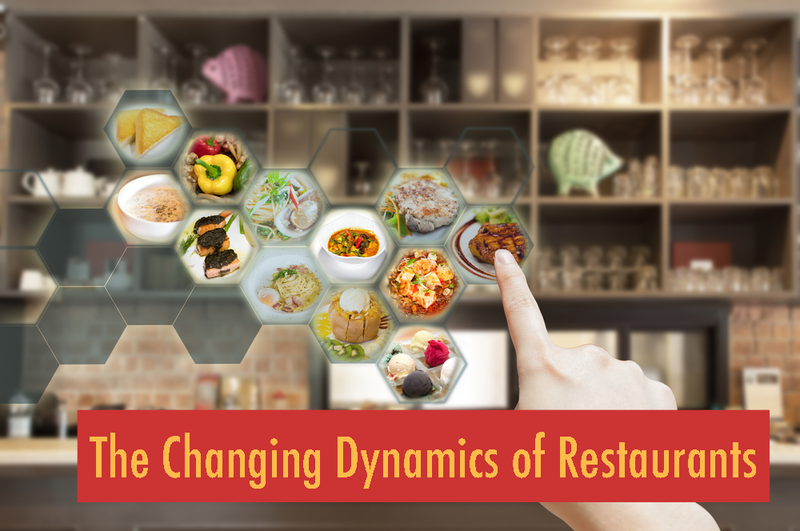 In this article, I'd like to briefly discuss why that is, explain what I have learned so far by studying its use in our industry and tell you how to get a clearer picture of what defines solutions that are classified as Restaurant Management Software.